aGupieWare: Space Station Sunday: Supply Success! Good afternoon, space fans! Here's what was up on the ISS this week. No explosions, other than the ones necessary for launch, took place this time. Despite the explosion of a SpaceX resupply rocket last week, Russia's Progress 60 unmanned resupply ship arrived safely at the ISS this morning. 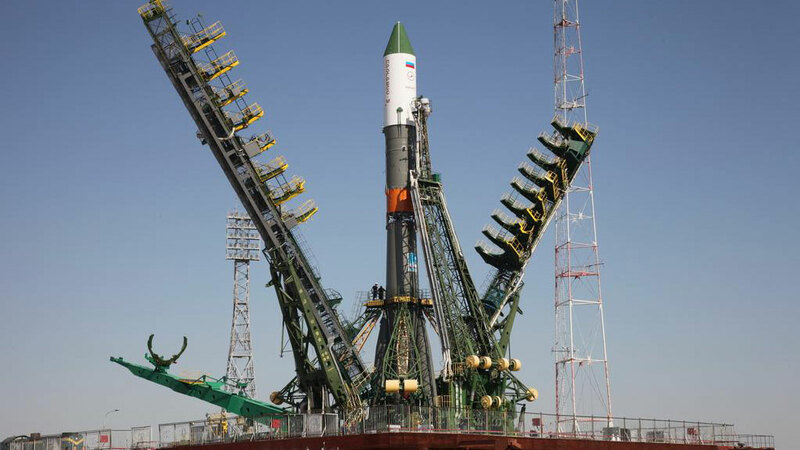 Launched on Thursday evening from Kazahkstan, the spacecraft has brought over three tons of food, fuel, oxygen, and scientific supplies to the station. 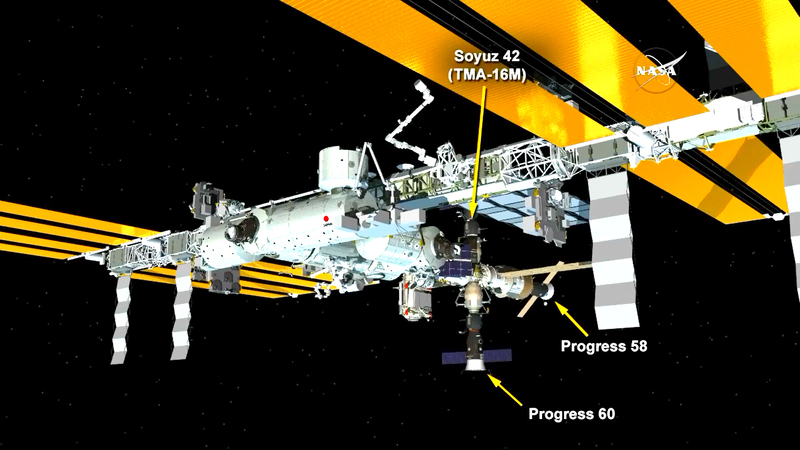 The craft will remain docked at the Pirs module for the next four months. Progress, living up to its name at the ISS. The crew continued to function with no issues after the SpaceX crash. The ISS is specifically designed for months' worth of supplies to be stowed aboard, thus the astronauts were able to keep working diligently with no lack of nutrition or hydration. Can't run out of coffee when the nearest Dunkin' Donuts is hundreds of miles straight down. Astronaut Scott Kelly has reached his 100th day in space, and closing in on a third of his sojourn as a "One Year Crew" member. Kelly is in good health and remains very enthusiastic about his mission. This week, he did research on calcium deposits and gravitational orientation in plants, as well as work on an experiment that studies rodents in space to discern changes to their musculoskeletal system. And as usual, he found time to capture some amazing imagery from earth. Speaking of endurance, as of last Sunday, ISS Commander Gennady Padalka holds the record for most accrued time spent in space by any human being. Padalka, who previously served aboard Mir and who is currently working at his fourth mission in the ISS, has now been in space for a total of 810 days. The previous recordholder, Sergei Krikalev, had spent some 803 days spinning around the planet. Commander Gennady Padalka: the current champion of existing in space. That's all for this week, space fans! We'll see you next week with more news from orbit, as well as updates on the three new crew who will be joining the ISS astronauts at the end of July. Watch this space!